our extensive knowledge on how to climb like a professional climber in an fun and safe way. Read more about us below! Sawadeekrap welcome to phi phi climbers, Our shop was re-born at phi phi island three years ago, from former spidermonkey shop to the new phi phi climbers shop, Our main focus was and still is to create and experience that you will remain forever. Meet our two guides Likit and Narong, two brothers in the wild. 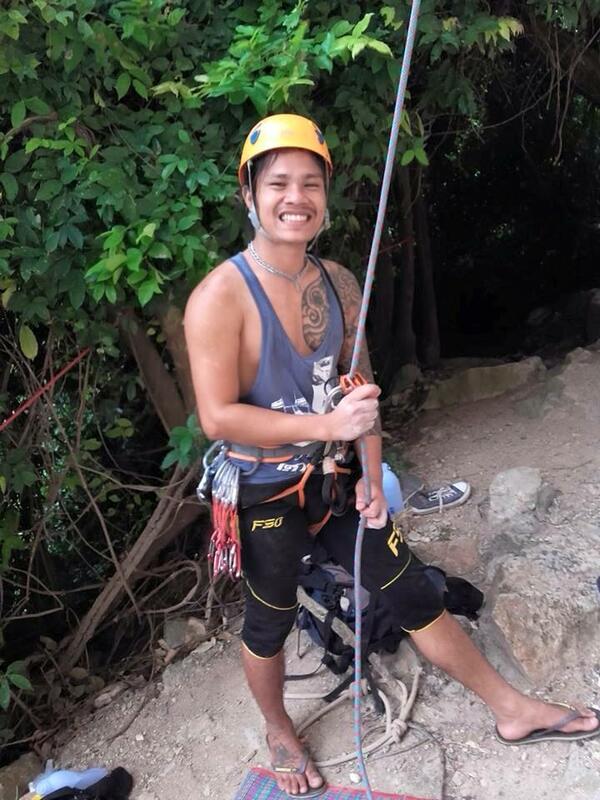 Narong who have been on phi phi island the longest also considered a local know every corner of the island, with always a smile on his face he will always make your climbing experience a happy one guaranteed! He will never let you give up when you climb! With his brother (little brother) Likit he will show his bossiness as well, poor thing have a little bit of a shy side but will make you feel safe on the rocks! He have 5 years experience of rock climbing, trained and taught by Narong. He usually charm the ladies with his cheeky smile and funny laugh with a nice bod, he will make the best of your day. Not a big talker but a nice one! With one that is funny and one that is shy this climbing experience will be like no other, Along experience of making their customers happy and set a goal to become a real climber.